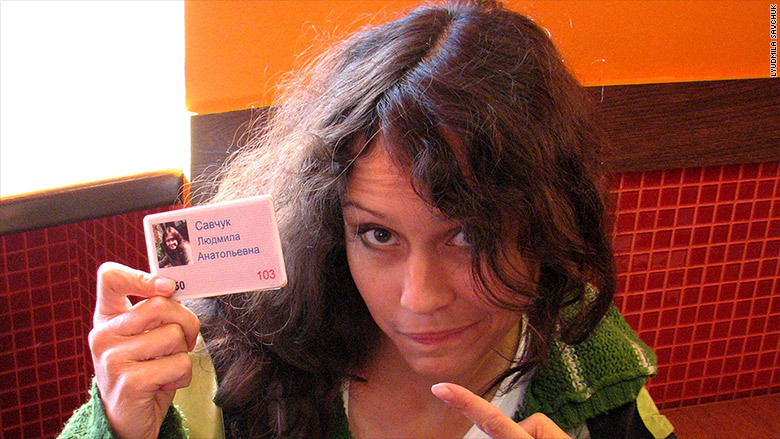 Lyudmila Savchuk holds up her employee ID issued by the Russian "troll factory" where she worked as a blogger. 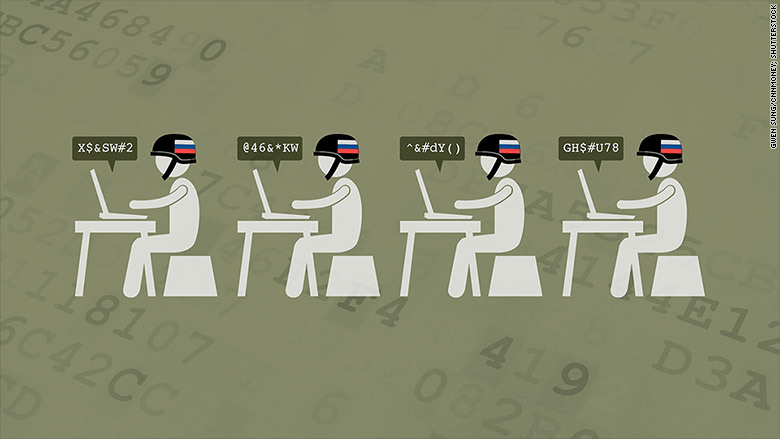 An army of Internet trolls is using cyberspace to promote Russia and wage war against opposition groups and the West. A former employee of the Internet Research Agency, Lyudmila Savchuk, has offered a rare glimpse inside the propaganda machine where young people were paid to praise President Vladimir Putin and his government. Savchuk, 34, who runs a Russian group that campaigns against propaganda, said she went undercover to "unveil the trolls and make them show themselves." The freelance journalist told CNN she accepted a job with the agency as a blogger, and then filed a lawsuit over its employment practices to shed light on the shadowy organization. The Russian government had denied all knowledge of the operation, and cast doubt on its existence. But a court last month awarded Savchuk symbolic damages of one ruble in recognition of the legal claims she made. "We achieved that the existence of the troll factory was recognized, and ascertained that they are producing paid comments," she said in an interview by email. Based in St. Petersburg, the agency was staffed predominately by young people, many of whom were unable to find jobs elsewhere, Savchuk said. They were given targets such as President Obama, Europe or Ukraine, and ordered to celebrate two characters: Putin and his defense minister Sergey Shoygu. "Most of them do the work unconsciously and write what they're dictated," she said, "If tomorrow they're told to praise Obama and hate Putin, they will do so." The trolls were paid between 40,000 and 50,000 rubles (about $750) per month. Savchuk said she donated her pay to charity. Her work for the agency appeared on LiveJournal, a blog hosting platform particularly popular in Russia. The trolls sometimes created entirely fictional accounts, for example devising a blog for a fortune teller who gave "veiled political theses" in between mystical pronouncements. Rumors of state-sponsored trolling have long swirled in Russia, and intensified after Moscow annexed Crimea from Ukraine in 2014. Speculation mounted that organized trolls were attempting to skew discussion about the conflict in Moscow's favor through social media posts and comments on Western media websites. Ukraine fought back. The country created special information forces and launched a website for volunteers to combat propaganda spreading from Russia. Enlisted "soldiers" would receive emails with tasks such as monitoring social media and taking on trolls by promoting Ukraine's messages in online discussions.